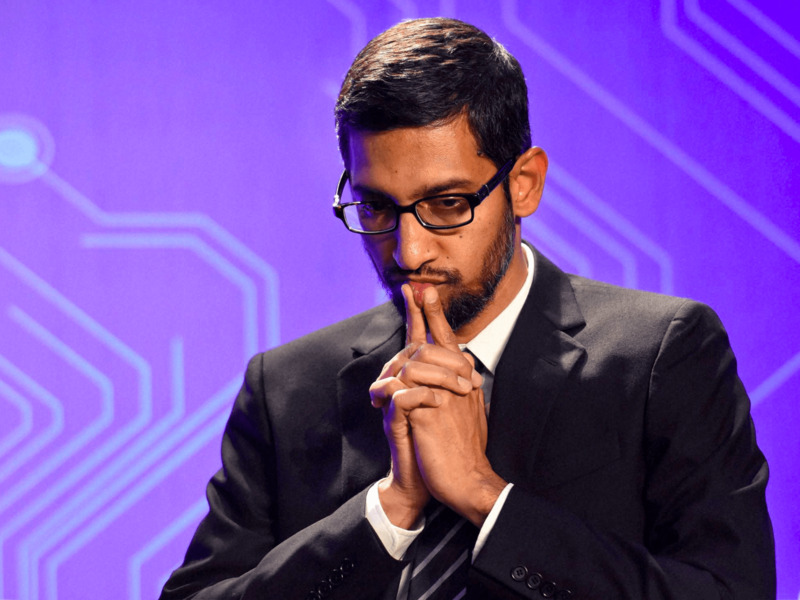 In a new column out Friday titled “Sundar Pichai Should Resign as Google’s C.E.O.,” Brooks takes Pichai to task over his handling of Damore’s firing. “There are many actors in the whole Google/diversity drama, but I’d say the one who’s behaved the worst is the C.E.O., Sundar Pichai,” Brooks wrote. “Either Pichai is unprepared to understand the research (unlikely), is not capable of handling complex data flows (a bad trait in a C.E.O.) or was simply too afraid to stand up to a mob,” Brooks wrote. “To suggest a group of our colleagues have traits that make them less biologically suited to that work is offensive and not OK,” Pichai wrote in a companywide memo about Damore’s firing. But many have come to Damore’s defense, particularly those who oppose what Damore called Google’s “left bias.” While Damore told Bloomberg TV that he didn’t identify with the so-called alt-right, many of his sympathizers are right-wing or far-right audiences who say Damore’s firing is a free-speech issue. In his column, Brooks echoes the free-speech argument and says he agrees with Damore’s science-based arguments about gender differences. You can read Brooks’ piece at The New York Times. Everyone Wants Google's CEO to resign or be fired!